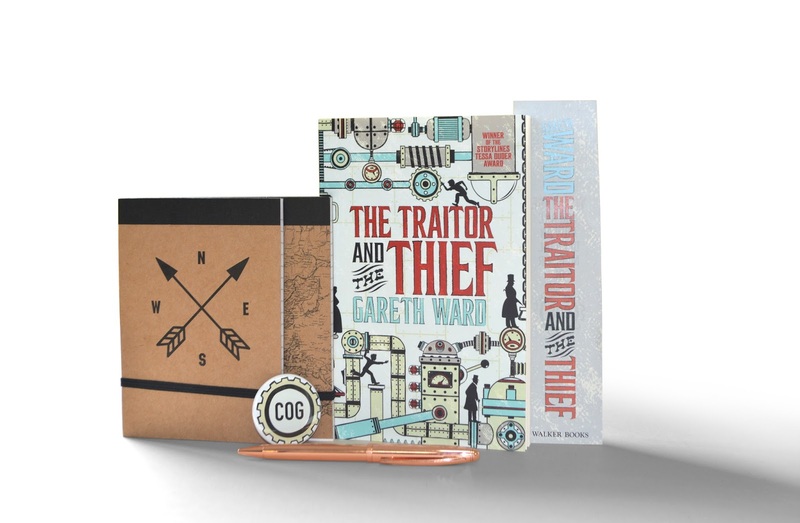 Thanks to the good people at Walker Books Australia and in celebration of the August release of the rip-roaring steampunk adventure novel, The Traitor and the Thief by GarethWard, we have a sensational Covert Operations Group (COG) Recruitment Pack to giveaway. The pack contains a copy of The Traitor and the Thief by Gareth Ward, a The Traitor and the Thief bookmark, Spy Notebook, Spy Pen and a Covert Operations Group Badge. Simply tell us 25 words or less why you should be recruited as the newest member of the Covert Operations Group. Email your answer along with your name and postal address to dimity@gmail. The response we like the best will win the pack. Competition is open to anyone, worldwide, so long as they have an Australian postal address for delivery of the book. Please note, we cannot deliver to PO Boxes. Entries without a name and street address will be ineligible. Winners will be announced right here on our website on Friday 11 August 2017. Competition runs from 5am Wednesday 2 August to 9pm Wednesday 9 August 2017. Adults can enter for those aged 17 and under. This is a game of skill, not chance. The judge’s decision is final and no correspondence will be entered into. Keep an eye out for our review of The Traitor and the Thief review!